In Pennsylvania, all roads lead to history. At every turn, historical museums, memorials and landscapes tell the states' story. 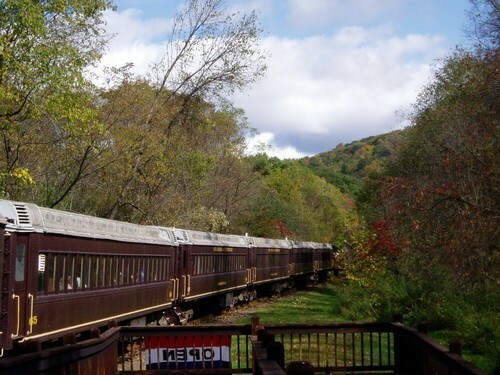 We will remember the heroes of Flight 93, see one of Frank Lloyd Wright's homes, tour the Amish country in Western Pennsylvania and take an excursion aboard the Oil Creek & Titusville Railroad. Come along on this weekend getaway! Our first stop will be at The State Museum of Pennsylvania where you will see a giant chick, hike among the bear, porcupine, elk, deer and other creatures of Mammal Hall, follow Pennsylvania's Native Americans throughout time or march into the Civil War era and see remnants of its greatest battle plus much more. After lunch on your own, we will depart for a solemn visit and remember a day that will forever be emblazoned in the memories of Americans forever. We will pay tribute to the forty ordinary people who became America's heroes at the Flight 93 Memorial. The memorial is a tribute to the passengers and crew of Flight 93 and is a place to explore this inspiring story. Our lodging for this evening will be in Donegal, PA. Dinner will be included at a local restaurant. After breakfast, we will depart for Kentuck Knob. Designed on a hexagonal module, this home is a small, one story Usonian house. Usonian, meaning affordable for the average American, was a signature design of Frank Lloyd Wright. We will enjoy lunch and a tour at Tara ~A Country Inn, themed after the movie "Gone with the Wind". This afternoon we will meet up with a local guide to tour the Amish country in Western Pennsylvania. Our lodging this evening will be in Mercer, PA and dinner will be on your own near the hotel. After breakfast at the hotel, we will visit the Drake Well Museum in Titusville, PA, the birthplace of the oil industry. 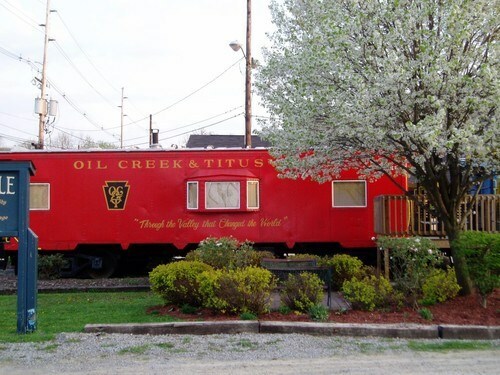 Next, we will hop aboard the Oil Creek & Titusville Railroad for an excursion through the Oil Creek Valley, where oil history began. We will depart for home with a late evening arrival back in Pennsburg.